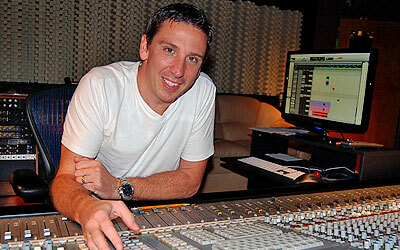 Jim “Pinky” Beeman has a well-established background in the music industry as an engineer and producer. With more than 15 years experience, Pinky has worked on multiple gold and platinum award-winning projects. Pinky relocated to St. Petersburg, Fl from Orlando in 1999, on the request of Big3 Entertainment CEO, Bill Edwards to build a state-of-the-art recording facility, Big3 Studios. The goal was to focus on the music of Big3 Entertainment, and to share his experience, strength and expertise in recording, mixing and mastering in the Tampa Bay area. Pinky spent the majority of his time in his engineering role, working on projects from all genres ranging from music, movies and television such as Cheap Trick, T.I., Jon Secada, Phyllis Hyman, Shirley Caesar, Bachman Turner, Olivia Newton John , AC/DC, Diddy, Frankie J, Usher, Marty Balin, 112 and Destiny’s Child, Family Guy, American Dad, EA Sports, to name a few. Pinky worked on the mix of “Sgt. Pepper Live” featuring Cheap Trick, the DVD and CD release with the help of the legendary Beatles engineer Geoff Emerick who helped produce the live show in New York City and their successful run of shows in Las Vegas. Pinky has ears for all genres of music including gospel, country, rock, electronic, pop, rap, hip-hop, neo-soul, jazz and Latin. He is one of the most well-known and highly sought after recording, mixing and mastering engineers' in the Tampa Bay area.